In a place calling itself the "Loveliest Town in Canada," vacations in Niagara-on-the-Lake remain a good choice for anyone searching for a relaxed and scenic experience in Canada's wine country. This town of just 14,000 residents boasts well-preserved Victorian architecture, numerous shops, manicured gardens, and a lively theater scene. Despite all that, wine tours remain arguably the most popular thing to do in Niagara-on-the-Lake. The region hosts over 20 fine wineries, most of which offer daily wine-tasting tutorials, tours of the production process, and a chance to purchase their finest vintages. If you get tired of sipping wine and gazing at Victorian homes, you can always take a trip to nearby Niagara Falls. Niagara-on-the-Lake is in Ontario. Plan your vacation with our Canada itinerary tool and discover the best things to do in Niagara-on-the-Lake. 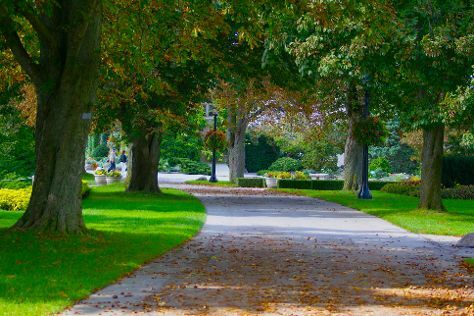 Niagara-on-the-Lake abounds with accommodations that can be more affordable than those just a few minutes south in the city of Niagara Falls. The town's grid-like streets offer an array of choices, with Mary Street, Mississauga Street, and Queen Street among the most popular. If you're looking for something a bit more luxurious and don't mind paying extra, stay near the lakeshore and enjoy waterfront views from your bed and breakfast.